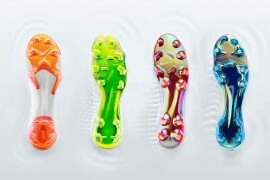 It was back in July when the Nike Mercurial Vapor Superfly made its dramatic return to the football boot market. 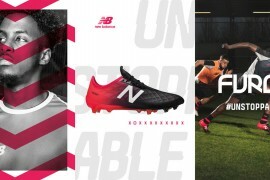 Having decided to re-work the original version just days before it’s official launch, Nike put the football boot back through some intense R & D. The extra work seems to have paid off as the boot has proved a massive hit with elite and amateur players alike. The latest colourway in Orion Blue / Metallic Silver / Dark Obsidian will be available in the UK on pre-order on 1st October and will go on retail sale one month later. They are also available on pre-order in the US. Flywire, Composite Upper and Teijin Skin combine to create Nike’s thinnest football boot upper to date and provide a uncompromising foot to boot, boot to ball fit. Lightweight Traction Sole Plates incorporate a higher density inner structure providing the necessary integrity yet allowing the extraction of unnecessary weight from the centre of the studs. These super-light, super-strong direct injected dual-density molded studs deliver optimal traction. 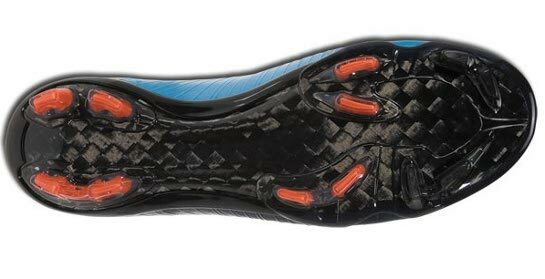 7-layer carbon composite outsole shaves off weight while delivering maximum resilience, strength and flexibility. Minimal Internal Heel Counter provides added integrity in the heel for ultra explosive players. One-piece Seamless Heel Pod Liner offers added comfort and fit. Does this mean that the Back in Black -era is over and some of the pros will be playing yet again in these princess like shoes? Sad, it was such a great campaign and perhaps made the youngsters think about the game itself rather than the shoes. 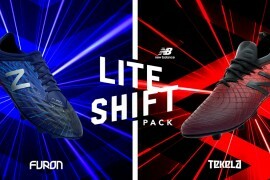 is cristiano going to wear these now? Would say that this is the best colourway thus far. 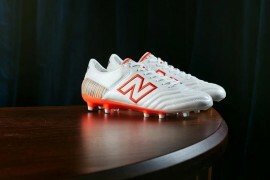 Still pricey but these look hot! 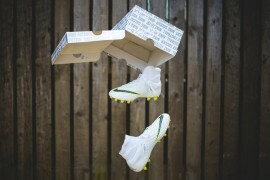 Not always been a fan of the Superfly but I have to admit, these look sweet. I think this is the worst colour. 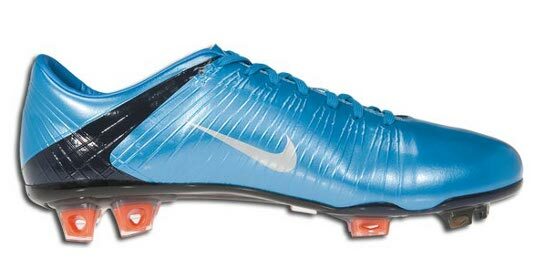 if you have the demo for pes 10 i think then all the players that wear the superfly have this colourway on. that’s right. They wear that and a black and red CT360 that I believe is unreleased as well. I don’t know whether that silver and red t90 laser in the demo is another new type…looks like an old one though. Jaspi, the same way you like boots to be black others prefer the more “outgoing” colors. Either way, the shoe is still the same whether it is black or has blinking lights on it. People don’t seem to mind when players like Gerrard switch from the always traditional first colorway of Predators that are Black/Red/White to a mainly red pair, or anything other than black, no one says a thing. Predators have as much technology put into them as a vapor, tunit, or total 90. Stop giving Nike, and more specifically the Vapor line, hassle for producing interesting colors, they seem to be the only shoe that offers change. 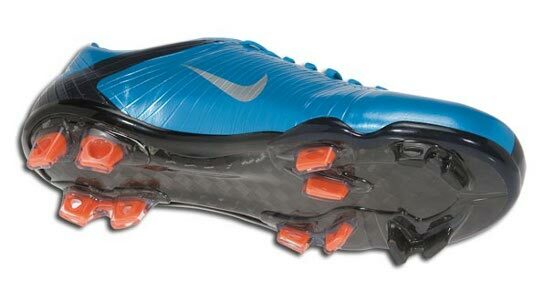 I like mecurial vapor and I like the different colours.I had berry pink last season and have just pre ordered these ones. They are good for speed. Imagine Ferrari Red superflys with the black part and a yellow swoosh!!!!! OMG. I would buy another pair just for this color. 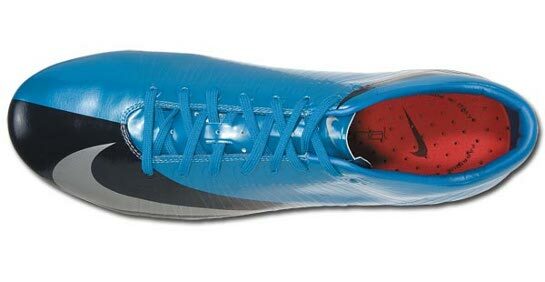 They are the maddest football boots in Mercurial.They are the best colourway out,probably even better than Superfly 2. I WISH I HAD THEM!!!! !